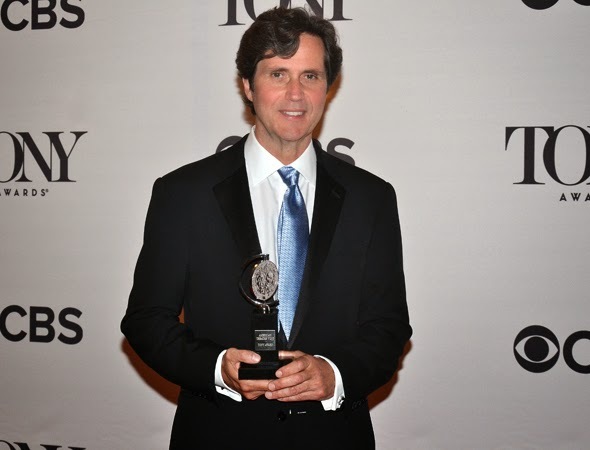 The 68th Tony Awards are in the books! Hosted by Hugh Jackman, who will return to Broadway this fall in the Jez Butterworth play, The River, the broadcast was...um...decent. I don't know why Jackman needed to bounce/hop throughout his opening number, but it was fun enough. We'll get to winners in a minute but first, a rant: Why, oh why, were there performances from shows that had absolutely nothing to do with this season? 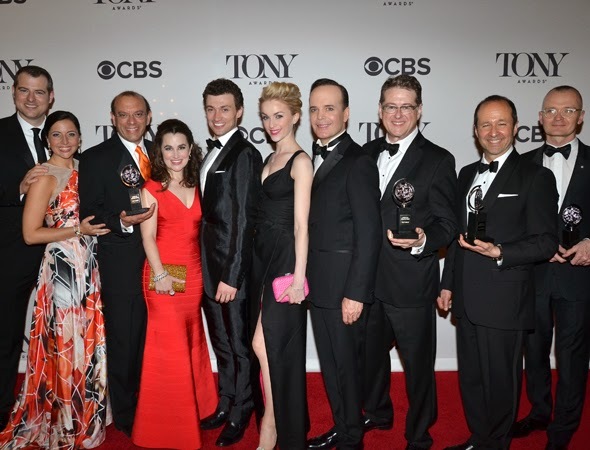 Each Tony Awards broadcast is supposed to celebrate the excellence that's been on Broadway in that season. 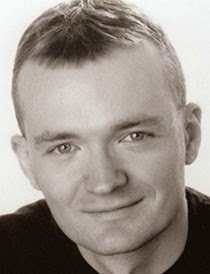 Yes, I know Sting is a ratings draw, but let him be a draw next year when The Last Ship will have bowed on Broadway. Yes, I know Jennifer Hudson is a ratings draw, but she's not even in Finding Neverland, which does not even have an official slot on the 2014-2015 Broadway calendar. Yes, I know people like Wicked, but it's doing fine at the box office and doesn't need the extra exposure. 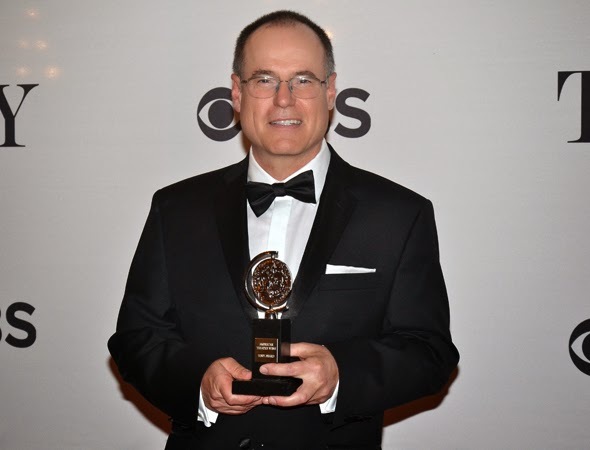 (I am also perplexed as to why Cabaret, Rocky and Bullets Over Broadway performed, seeing as none were nominated for Best Musical or Best Revival, but at least they were part of this season.) I take such umbrage with these gratuitous performances (don't even get me started on the Music Man rap - I've always thought it was the first hip hop number on Broadway, but why the heck did that need to be part of the telecast?) 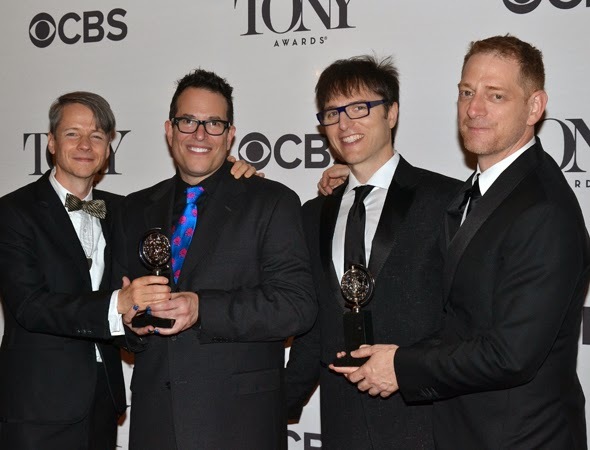 because shows that actually were on Broadway this season - shows that ended up winning BEST SCORE - did not perform. I'm talking, of course, about The Bridges of Madison County. Is it just because the show is closed? Ugh. OK. End of rant. Let me tell you why this is a bad choice. The Best Play is always stated with its playwright, and thus this award is, ostensibly for the play - the words - and not necessarily the production. My specialized knowledge of the subject matter in All the Way not withstanding, if you were to read this play, it wouldn't do anything. If you were to read Act One or Casa Valentina or Mothers and Sons, you'd be moved, enlightened, engrossed. 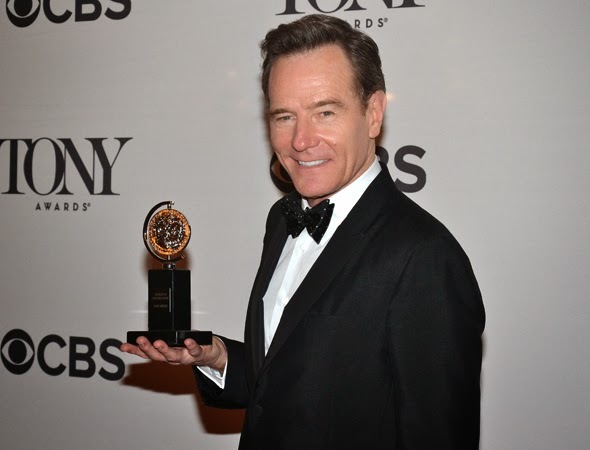 All the Way only succeeds in performance, and that performance only succeeds with Bryan Cranston. He does great work, but without his star power this never would have made it to Broadway. This was the wrong choice. This was a surprise to me. 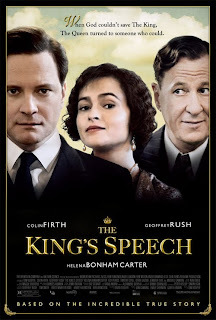 This being the one play revival I did not see, I can't justifiably comment on how deserving this production is of the accolade, but if you've been following me this season, you know I was rooting for Twelfth Night. While I'm disappointed I'm not surprised. This category was announced after the Featured Actor in a Play, and when Mark Rylance won that award, I knew Cranston would win this. 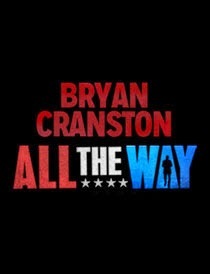 Cranston does give a good performance in this, so kudos to him. 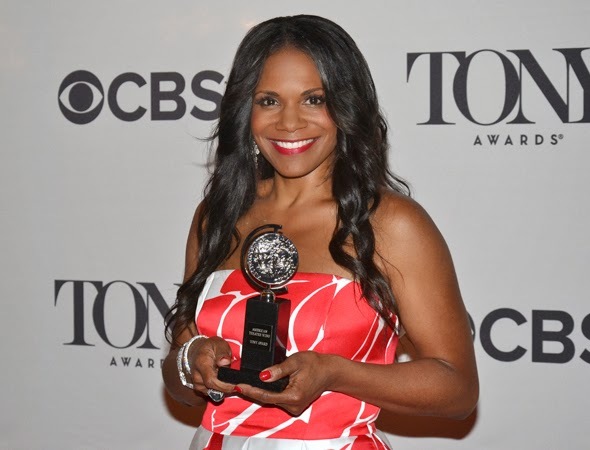 As many expected, Audra made history, winning her sixth Tony, the only performer to win six Tonys for acting. 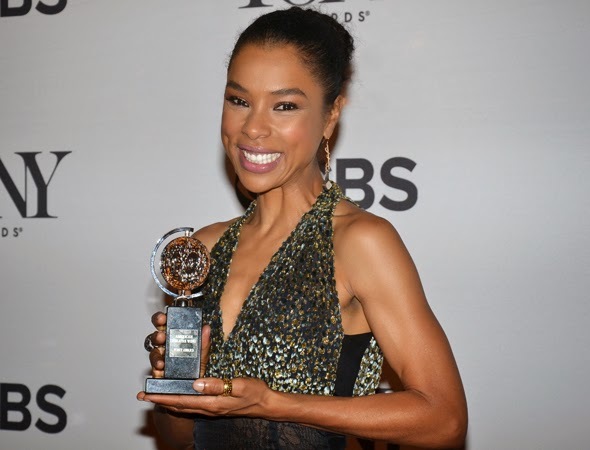 And, she's now won at least one Tony in each acting category: Leading Actress in a Musical, Leading Actress in a Play, Featured Actress in a Musical and Featured Actress in a Play. 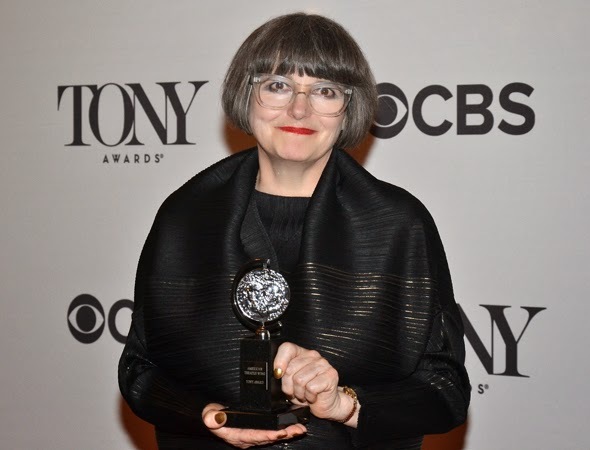 Bravo to one of Broadway's most beloved leading ladies. Also, bravo for her shout out to her parents, who didn't medicate their hyperactive child but rather found out what held her interest. Way to go McDonalds! Finally, Will Swenson's reaction to his wife winning was simply beautiful. 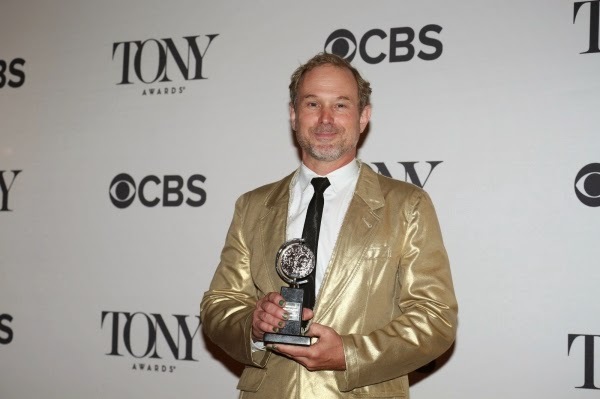 As I mentioned above, I was rooting for Rylance in the Lead Actor category, and I was doing so because I was hoping theatre stalwart Reed Birney would win this one. 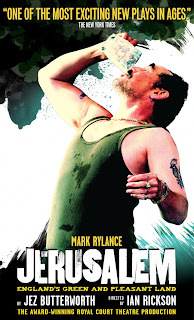 But Mark Rylance winning an award is always the right choice, and Rylance winning for Shakespeare is perfection. Plus, I really liked his speech. 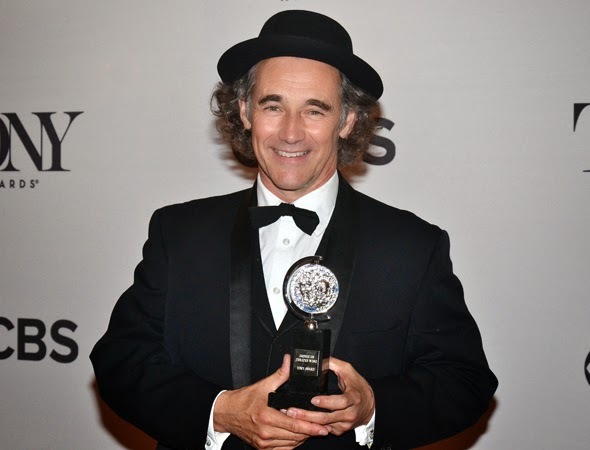 The now three-time Tony winner broke form and did not recite a poem (which he did on the two previous occasions); instead, Rylance paid homage to the American Sam Wanamaker who revived Shakespeare's Globe in London. Lovely. I haven't seen Okonedo's performance so I'll just say congratulations to the ebullient winner. This was another surprise, with most prognosticators predicting a win for either Carroll or Tiffany. 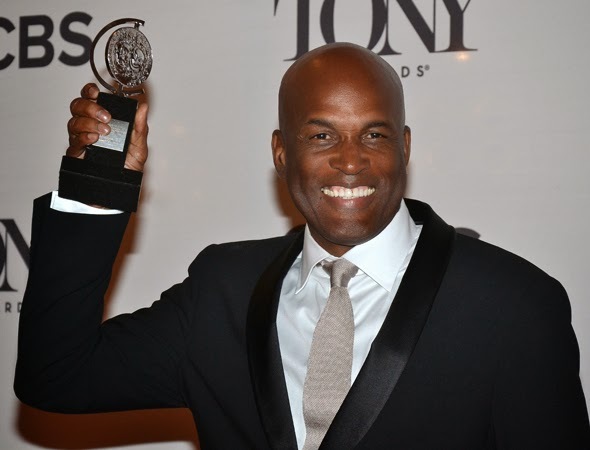 I did like what Leon said in his speech, noting how important it is for "every child to have a little piece of theatre in their every day lives." Right on! Boritt's set is another character, and the play would not succeed the way it does with any other design. Bravo. Huzzah! Head back to my review for a reminder of the craftsmanship and attention to detail that went into these period specific costumes. Way to go, Jenny! The lighting design in The Glass Menagerie was another character and added wonderful depth to the Tennessee Williams play. 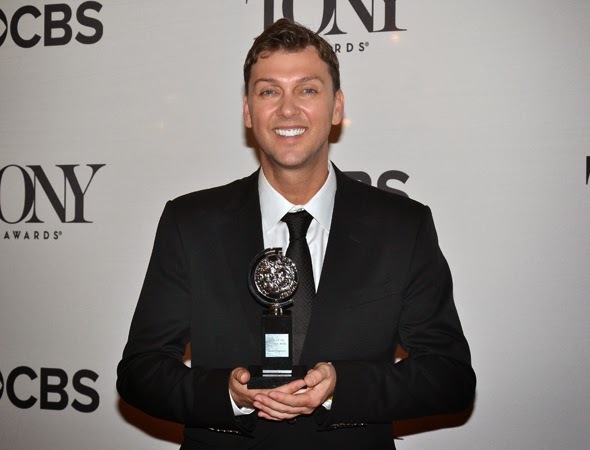 Haven't seen the show so no comment other than congratulations Steven Canyon Kennedy. Ugh. Let's just move past the fact that the best musicals this season weren't even nominated in this category, despite there being a fifth slot available to Tony nominators. I guess I'm in the minority because most people who have seen this liked it. I thought it was boring. But that's what makes horse races. And order has been restored. This is absolutely the best score this year, perhaps in several years. 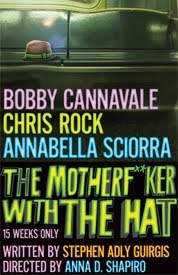 If you haven't heard it, do yourself a favor and head over to sh-k-boom to order your copy. It's gorgeous and lush and the voices and musicians bringing Brown's work to life are marvelous. Go forth and listen. This was one of the few sure-wins and, sure enough, it won. 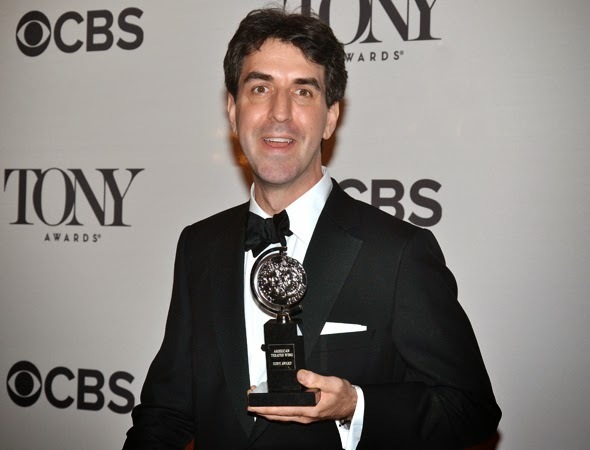 Hooray for a dirty, messy, aggressive, difficult punk rock musical taking home this honor. This was the other sure win. 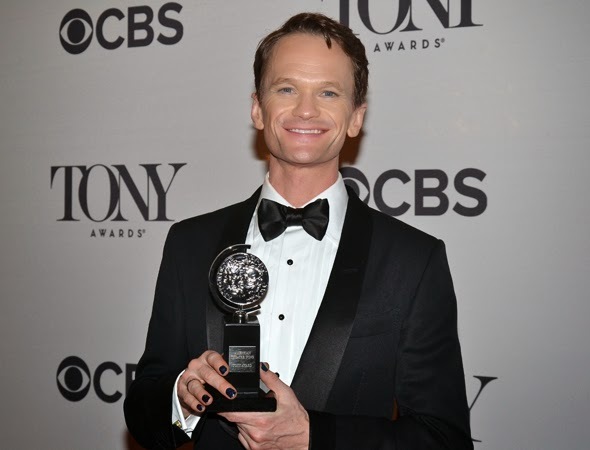 NPH is doing incredible, brave, raw things at the Belasco, and I truly believe people are going to be talking about his performance for years to come. 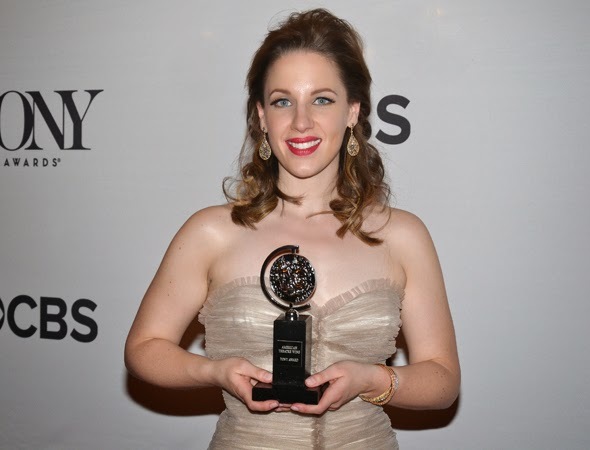 I LOVE JESSIE MUELLER. Seriously, this lady can do no wrong. Foster, Menzel and O'Hara are sensational, but Mueller... She's a star and she deserved this. 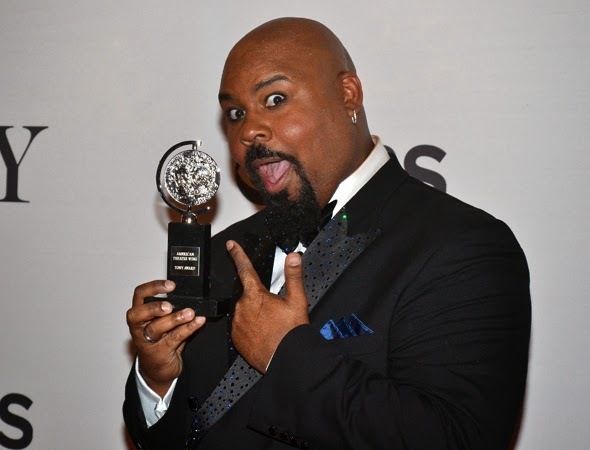 This third and final sure thing was Iglehart bringing home the Tony for the role he's been waiting to play since he was a teen. The big kid gives a terrific performance, as everyone got to see when he performed earlier in the night. Congrats, Genie! 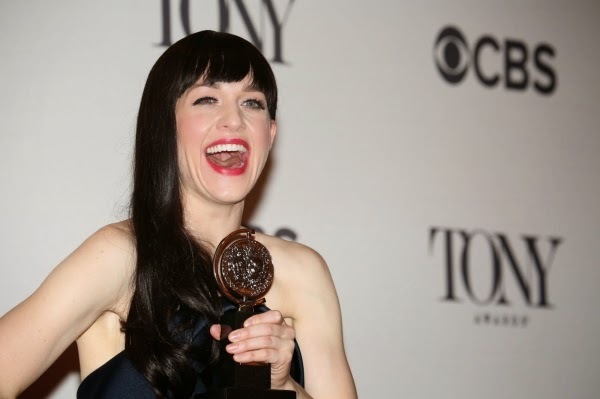 Rock on, Lena Hall! She's playing opposite one of the flashiest performances of the season so the fact that she's able to draw your attention at all is remarkable. 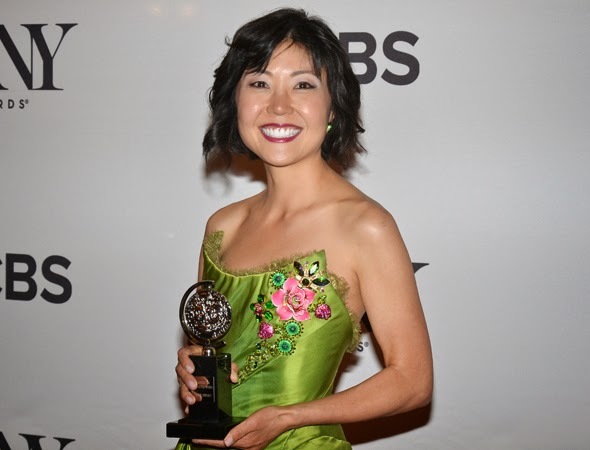 She gives a touching performance, and this is well deserved. I still cannot understand why Alex Timbers wasn't nominated in this category, but given the nominees, I can't understand how Tresnjak won over the visionary Mayer. Whatever. Hedwig is the "internationally ignored" star and she's a badass. 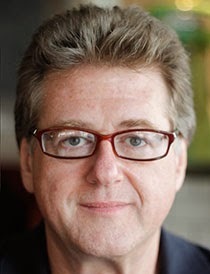 Ditto Michael Mayer. I'm excited to get to see After Midnight next month. Based on the show's performance that opened the Tony broadcast, I think the choreography is going to be particularly impressive. JRB all the way. Listen to the cellos that open the show. Listen to the twangy strings that reflect the people of Winterset. Listen to the build in "It All Fades Away." Seriously - listen to this score. Good choice. Barreca's impressive set, the way it moves and what director Alex Timbers does with it is the only reason to see this show. Eh. Can't really complain but can't really get excited. How about a round of applause for the dressers on this show? Yep - right choice. 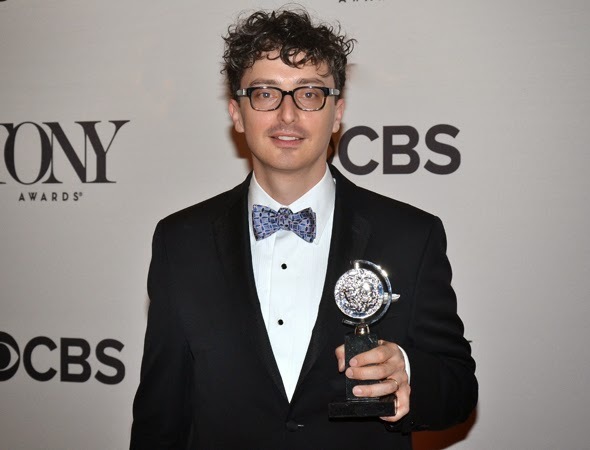 Kevin Adams is a masterful lighting designer, and he proved it once again with Hedwig. 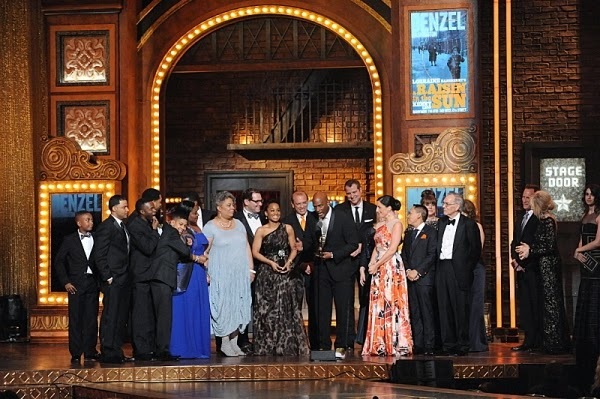 And there you have it: The winners of the 68th Tony Awards. 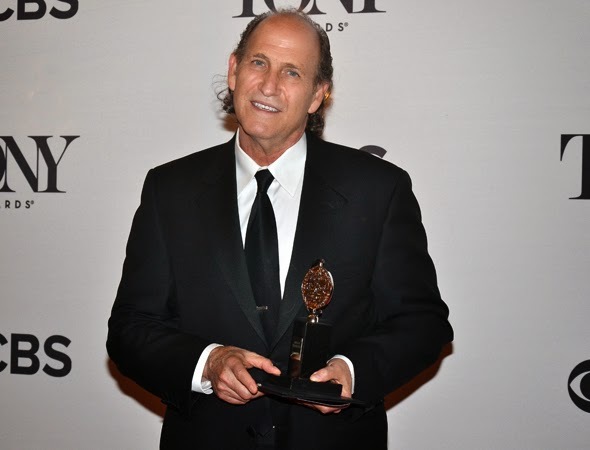 Keep checking my Tony Pinterest board and my Culturalist profile, both of which I'll be updating throughout the day with fun photos and lists. 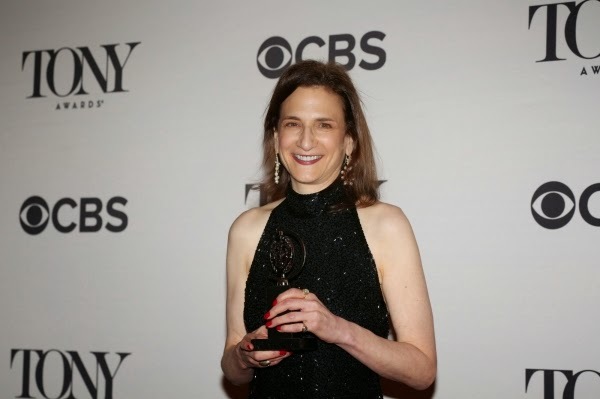 All photos of winners with their Tony Awards by David Gordon for Theater Mania except: A Raisin in the Sun, by Heather Wines for CBS; and Natasha Katz, Kevin Adams and Lena Hall, Walter McBride for Broadwayworld.com.